Joy Organics CBD Review | The Complete 2019 Update! In this newly updated Joy Organics CBD oil review, we discuss the brand’s latest line of hemp-extracted products, what sort of value they offer in terms of price-to-quality ratio, and how the company operates in a manner that’s different from the competition. Enjoy! It’s no secret that some of the most common reasons people turn to CBD are difficulty sleeping and chronic pain. Thanks to the Farm Bill of 2018, the CBD industry has been given a terrific boost, which is great for anyone in need of CBD. The new legislation states that it is legal to grow industrial hemp anywhere in the U.S. Essentially, if the hemp contains a THC content that is lower than 0.03%, it is now considered legal. This new development in the CBD world is bound to result in significant industry growth. However, there is a downside. With so many CBD companies now on the market, and many more that are sure to pop up in the coming years, how do you decide which brands are worth buying and which ones are junk? We want to help you out a little by telling you everything that we know in our CBD brand reviews. Today, we will be taking a closer look at Joy Organics CBD. This is a family-run business on a mission to create the highest-quality products. 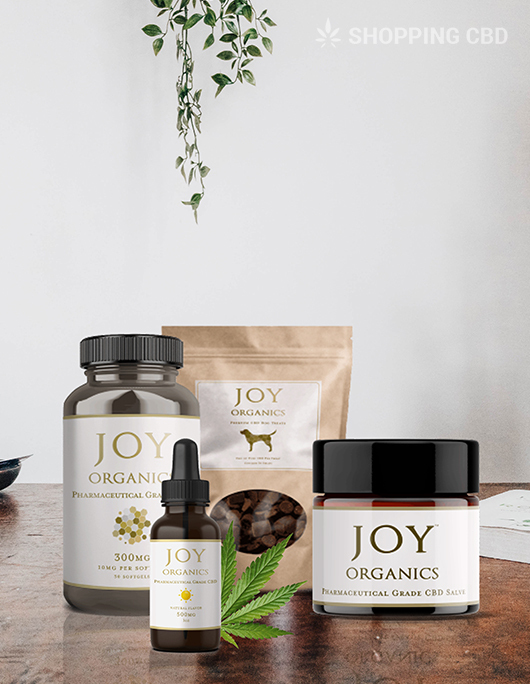 Whether you are new to the world of CBD or simply looking for a new brand, Joy Organics is one worth taking a look at. Joy Organics is a local family-owned business that was founded by Joy Smith. Joy is a wife, mom, and grandmother who dealt with chronic pain and trouble sleeping, which is what inspired her to start this CBD company. When Joy found herself suffering from both of these problems, she decided to research her natural options, and this is how she was first introduced to CBD. The problem was that she realized an unpleasant truth on her journey; the CBD industry is full of brands that rarely work. After trying the top seven brands that were on the market, she only found one that gave her the relief that she was looking for. However, Joy knew that CBD wasn’t the problem. The problem was that this was an industry that is pretty much unregulated and full of products that have been poorly produced. This is what inspired Joy to start Joy Organics CBD. She wanted to have an impact in the industry. Her mission was to help people by creating the purest, most organic and most bioavailable full-spectrum cannabinoid products on the market, at a price that people can afford. This remains Joy’s promise to her consumers. When we said that this is a family-run business, we really meant it. Joy’s husband, her two sons, two daughters, son-in-law, and a few of her grandchildren all have a role to play in the company. You can read up about it on their website if you want to know more about who does what. Joy’s passion is helping people who are in need, which is why she is an avid volunteer and international speaker. She gives hope to women across the world through the various seminars that she holds. Joy’s commitment to giving back is a very important part of Joy Organics CBD oil, and is largely what keep their dedicated customer base coming back for more. If you take a look at the Joy Organics website, you will agree that there is no denying that this is a high-quality, trustworthy brand that is 100% committed to providing consumers with the best possible products. Pharmaceutical-grade: All of their products are manufactured in a GMP certified facility by the FDA which is why they are considered to be pharmaceutical grade. This means that products are organic and non-GMO. Lab results: The company provides a detailed lab report for each and every batch, and not only for cannabinoid content, but also for potential contaminants and solvents. They have very strict quality control measures in place and are transparent in their lab results. US-grown hemp: All products are made from US-grown, CBD-rich hemp rather than industrial hemp. This is important because industrial hemp is an inferior source of CBD that is often accompanied by contaminants. Full-spectrum products: Their whole product line is THC-free, but still has full-spectrum hemp extract. It’s the first time that we’ve seen this. Most full-spectrum products still contain traces of THC, so their products are great for anyone who wants to avoid THC but still want the benefits associated with using a full-spectrum product. 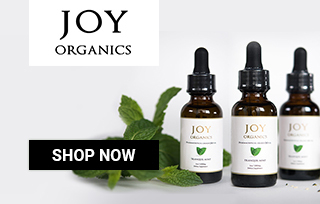 Free shipping: Joy Organics offers free shipping in the U.S through USPS. There are not many brands that offer free shipping with no strings attached. Return policy: The company offers a 30-day money back satisfaction guarantee. If you are not 100% pleased with your products for any reason, you can use the Contact Us page on the website, and they will give you a full refund. We love just about everything about Joy Organics; however, there is a downside. Although their products are made to be affordable, they are more on the expensive side, especially when compared to many other brands. Keep in mind that you get what you pay for, so this is not necessarily the worst thing, but not everyone will be able to afford these products, which is a real shame. All CBD products aren’t created equal. This is something that Joy figured out early on, which is why she has set high standards from the very beginning. There is a seven-step process in place to create their high-quality products which you can read more about on their website. But, here’s an overview of their most sought-after products. CBD Oil Tinctures: The tinctures are available in a Natural, Tranquil Mint, Orange, or Lemon flavor and in strengths of either 500 mg or 1000 mg. All tincture bottles are 30 ml in size, which is equivalent to about 30 servings. You can take between one and four servings per day. CBD Softgels: The softgels are advertised as giving predictable results in an easy to swallow method. There are 30 servings per bottle, and they are available in either 300 mg or 750 mg options. The 300 mg bottle has 10 mg of CBD per softgel and the 750 mg bottle has 30 mg of CBD per softgel. You can also get a Melatonin softgel to help with sleep. Skincare Bundle: Joy Organics sells a full line of premium grade skincare products. The pack includes a day cream, night cream, face serum, eye serum, and a face mask. CBD Salve: The salves have been made for targeted relief for inflammation and joint pain. They consist of a balanced combination of beeswax, phytocannabinoid-rich hemp oil, and aromatic essential oils to help soothe discomfort and aid skin health. They’re available to buy in 500 mg or 1000 mg.
CBD Energy Drink: This energy drink is described as being fast-acting, safe, and a natural source of energy. It’s sold in a 5-pack with an aim to give you a boost when you want to get the most out of your workout. Joy Organics is certainly a premium brand. Their CBD products are a little more expensive than many of their competitors, but they’re doing some really creative things that make it worth the price. Here’s an overview of what you can expect to pay for these products. CBD Oil Tinctures: The prices range between $34.95 and $134.95 depending on strength and flavor. If you buy two bottles, you can get 10% off, and if you buy three bottles, you can get 15% off. CBD Softgels: The 300 mg bottle has a price of $49.95, and the 750 mg bottle will cost you $84.95. The Melatonin softgel costs $99.95. CBD Salve: 500 mg of the salve is sold for $59.95, and 1000 mg has a price of $99.95. If you buy two, you can get 10% off, and if you buy three, you can get 15% off. Joy Organics was developed in an effort to offer a CBD product to the market that actually works. 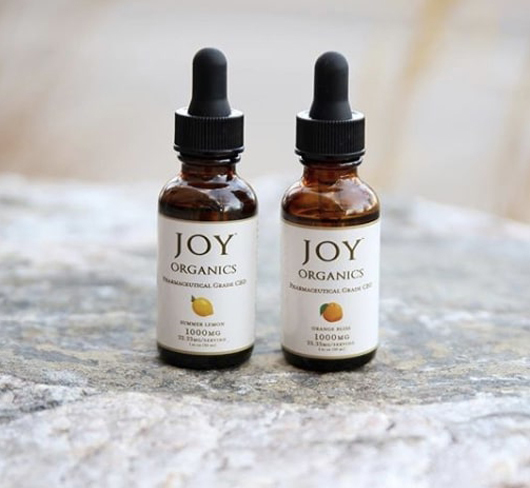 With a mission to help others by making the purest bioavailable and organic full-spectrum cannabinoid products people can afford, Joy Organics is by all accounts fulfilling what they set out to do. Also, keep in mind that this is a brand with a long-term goal of becoming one of the most respected and recognized companies in the cannabis industry – which is why they are producing products that meet high expectations. Without a doubt, we would say after conducting our Joy Organics review that the folks behind the mission are well on their way of achieving their long-term company goals. Savannah from Ashburn just bough! Alice from Ashburn just bough! Khloe from Ashburn just bough!